A Crown Suite bedroom at Crown Towers. If you’re planning to head to the world’s most liveable city to sip on incredible coffee, dine on deliciously fresh food and take in all the cultural offerings, you’ll need somewhere equally great to stay. We’ve taken the legwork out of your hotel search by rounding up the best places to stay in Melbourne. A Classic Twin room at Sofitel Melbourne on Collins. Tucked into the Paris end of Collins Street, this is an elegant property dishing up French je ne sais quoi in the heart of the CBD. Yes there’s a slightly 90s business vibe — after all, the lobby links to event spaces which cater to conferences corporate events, and the building also features retail and office space. But once you’re upstairs, the rest of the city melts away. Rooms are spacious and comfortable, combining functionality and style in one cute package that appeals, whether you’re here for work or leisure. Book a room with access to Club Sofitel,the bright, airy lounge that puts on refreshment all day (try the Eggs Benedict at breakfast, and duck in for Champagne at happy hour) and is the ideal spot for quiet relaxation or focused work. The highlight of the Crown complex sprawled along Southbank, Crown Towers is a gorgeous five-star property just bursting with opulent sophistication. Each of the 481 guest rooms are decked out in soothing earth tones rendered in luxe materials, and feature lavish marble bathrooms with full soak tubs, and plenty of technology. 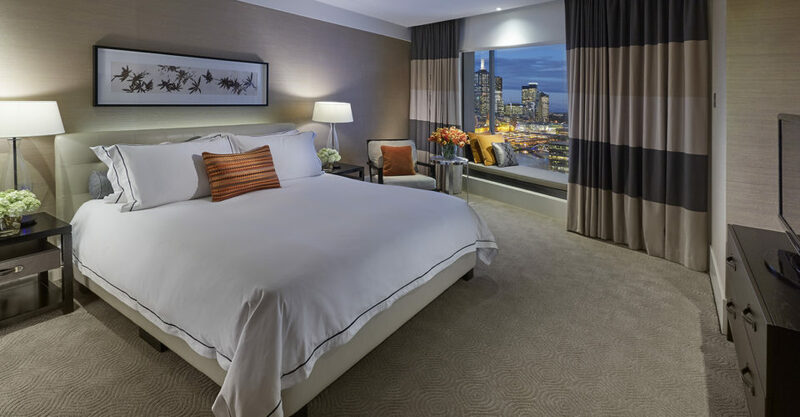 Check into one of the Premier Suites for floor-to-ceiling windows with gorgeous city or bay views, massive walk-in wardrobes, and a separate living area with a flatscreen and minibar, couches for lounging, and a work desk. Grab breakfast at the onsite buffet restaurant (Convservatory) and book ahead for a meal at Dinner by Heston Blumenthal (though you’ll have access to Crown’s myriad other restaurants like Rockpool, Nobu and Rosetta). Whatever you do, make sure to slip into the super-lush Crown Spa for an indulgently restorative treatment by Subtle Energies, a break in the Aqua Retreat, and a dip in the oasis-like pool. Occupying prime position on Southbank, this bastion of classic elegance does it all. The 381 rooms combine timeless style and modern convenient with plush carpets, cream wallpaper, cozy armchairs and stately wooden furniture (including a valet stand). 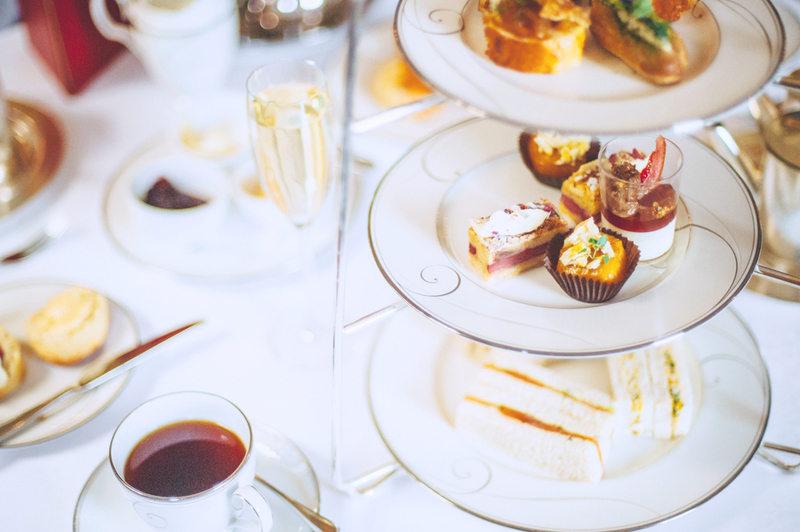 The Langham Club offers private check-in and check-out, along with a hefty afternoon tea and happy hour, but elsewhere at the hotel, Melba offers classic fine-dining, and the classic Langham Afternoon Tea with Wedgewood is served in the lounge. For a bit of R’n’r, book a pampering treatment at the Chuan Spa, where Traditional Chinese Medicine is combined with western wellness techniques. Afternoon tea at The Windsor. The grande dame of Melbourne hotels, this stately old-world hotel has hosted royalty, dignitaries and celebrities from all over the world – think Meryl Streep, Metellica, Muhammad Ali, Richard Branson and the Duke and Duchess of Sussex. The 180 rooms here are done up in classic Victorian splendour, though if you’re looking to treat yourself, you’ll want the Royal Suite. This opulent suite comes with real fireplaces, its own dining room and salon, and a marble bathroom with a claw-foot tub. The Windsor Afternoon Tea at the One Eleven lounge is a beloved city tradition, while the Cricketer’s Bar is also a history spot for one of the city’s favorite sports. You’re in the heart of the city here, with the city’s best restaurants, bars and shopping all within stone’s throw. 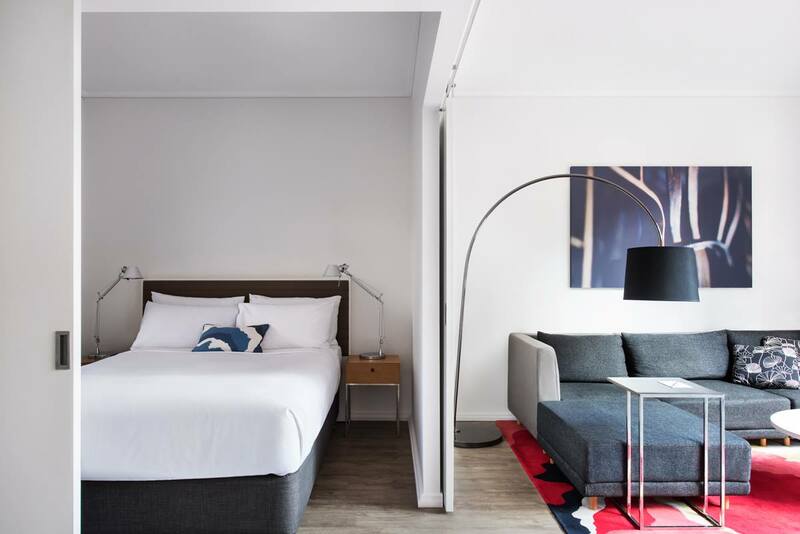 A recent addition to the city’s hotel scene, this design-forward boutique hotel is tucked into a discrete location in one of the CBD’s little alleys (it’s also surrounded by some hidden-gem bars and restaurants on the same street). It’s all about the extras here, so all direct room bookings come with free breakfasts, wifi and minibars, along with a complimentary happy hour and all-day snacks. Rooms here range from the simple, cozy Studios to the colourful, personality-plus Penthouse Suite, but all come with Apple TVs, rain showers, and TVs and DVD players. Splash out on the Penthouse Suite, though, and you’ll also enjoy an outdoor terrace with a jacuzzi, two bedrooms (and bathrooms), a candy bar, a pinball machine, and a kitchenette. Spend a little time wandering around to explore all the art hidden around the hotel (there’s plenty!). 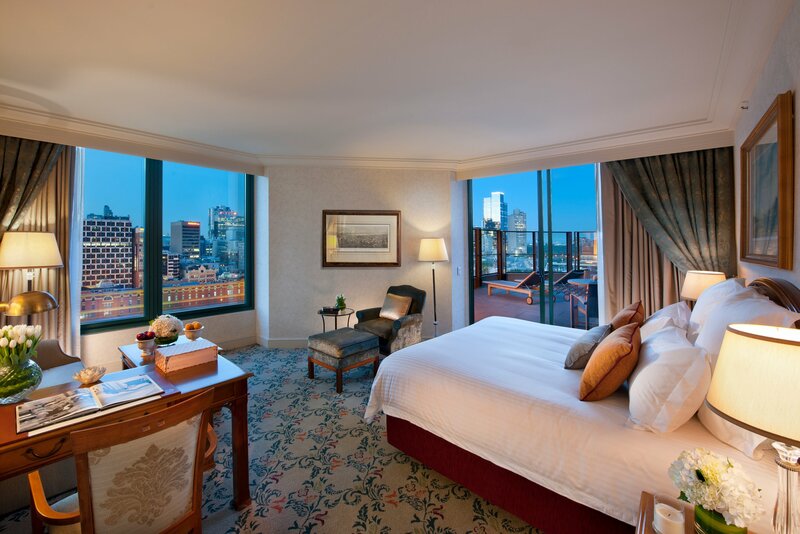 The author was a guest of Crown Towers, Sofitel Melbourne on Collins, and The Langham, Melbourne.